NEW DELHI: The Supreme Court on Monday issued notice to the Tamil Nadu Government on a public interest litigation petition that sought a direction to implement the Court's directions in the 1992 Mandal judgment, viz. to identify and exclude the "creamy layer" from among the backward class communities in the State. A Bench of Justices A.K. Mathur and Altamas Kabir issued the notice after hearing senior counsel K.M. Vijayan. He submitted that Tamil Nadu was the only State, which was yet to identify the "creamy layer" as per the Mandal judgment. In its petition, Voice (Consumer Care) Council said that as per the Mandal judgment, the Centre, States and Union Territories were directed to constitute a permanent body to entertain, examine and recommend for inclusion and complaints of over/under inclusion in the lists of the other backward classes. The advice tendered by such body would be binding on the government. 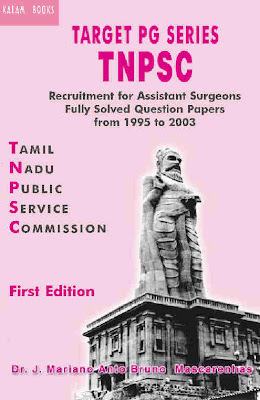 The petitioner said Tamil Nadu had not followed the directions contained in the judgment, though many years had passed. The benefits of reservation to the backward classes had been continued to them in education and in appointments to State services, without excluding the "creamy layer" and such benefits of reservation had not been passed on to the really deserved persons belonging to such backward classes. The petitioner contended that Tamil Nadu, by not identifying the creamy layer for more than a decade, had literally affected the reservation of the needy lower strata of society. The State had done great injustice to the really backward class citizens, as all the affluent classes in such backward class communities were taking away the reservation benefits. The petitioner said that if reservation were provided without removing the "creamy layer" it would have a counter effect on the very basis of the Constitutional right. The petitioner said that it must be noted that in Tamil Nadu majority of the castes had been included in the backward classes list. As a result, the backward classes got a major portion of the seats in professional colleges, as well as in employment. It sought a direction to Tamil Nadu to identify and exclude the "creamy layer" and consequently exclude them from the benefit of reservation.